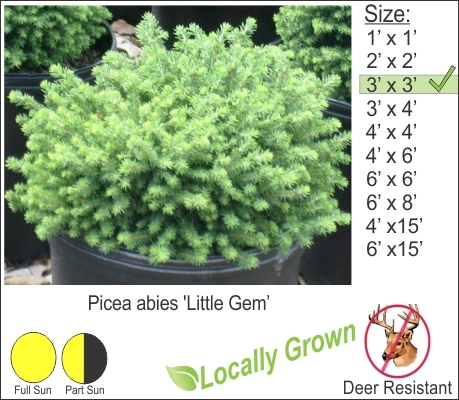 Little Gem Dwarf Spruce is a nice evergreen for landscape beds with limited space. This evergreen is nice for planting along walkways and mixes well with low mounding shrubs like Gold Mound Spirea. This Spruce is deer resistant and easy to care for with little to no trimming required from season to season.